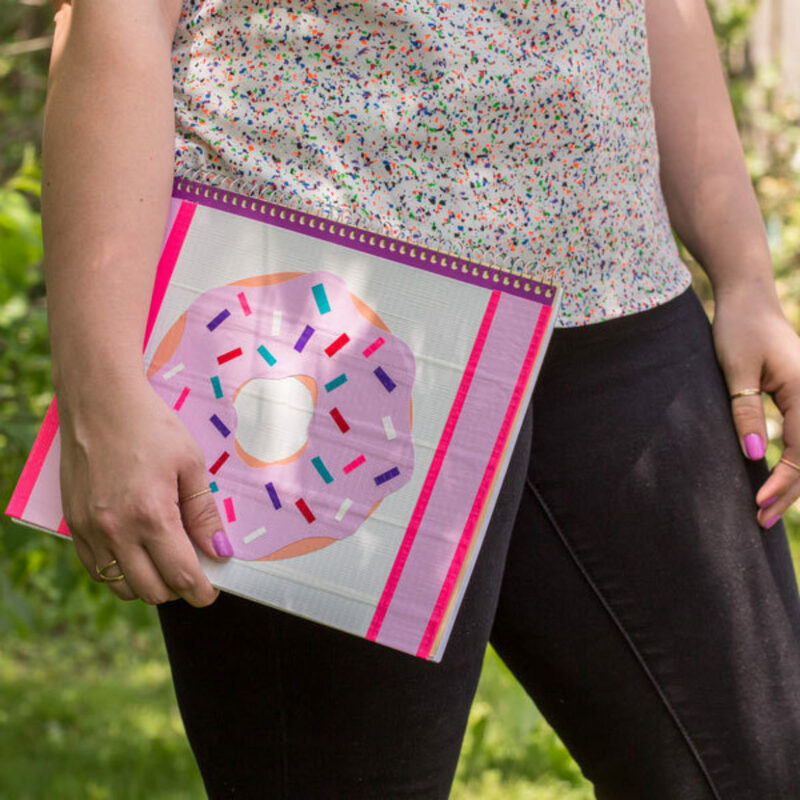 Cover your notebook with Duck Tape®. 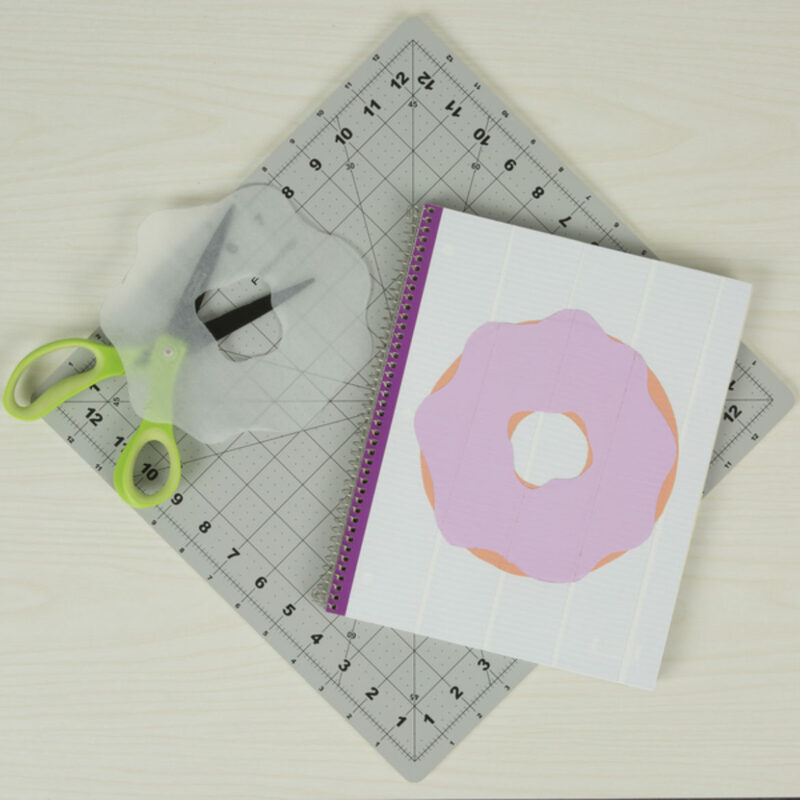 Using a circle donut template, make the base layer of your donut with Duck Tape®. 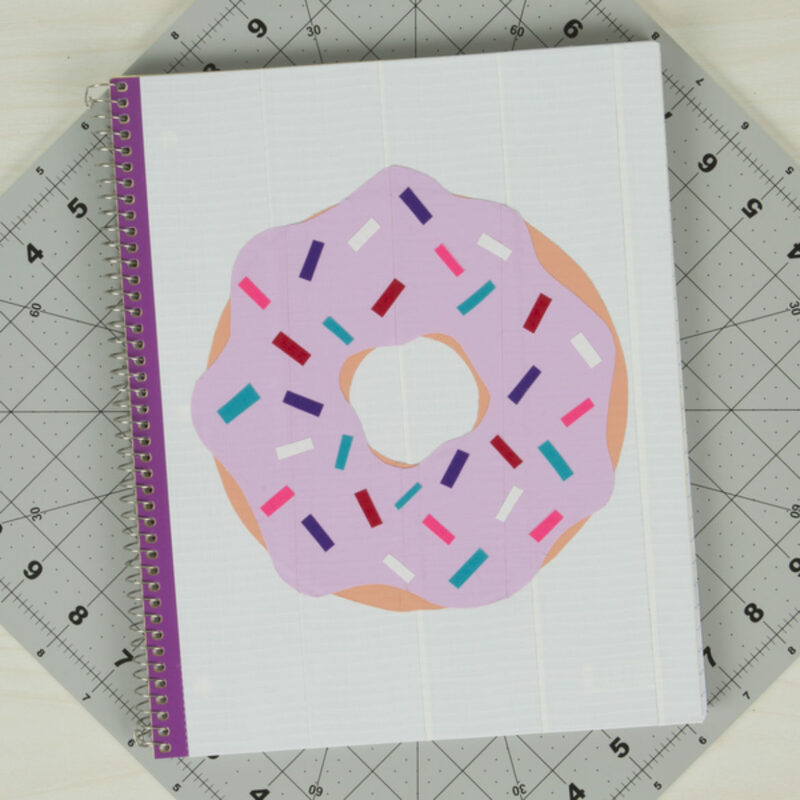 Add this to the front of your notebook. 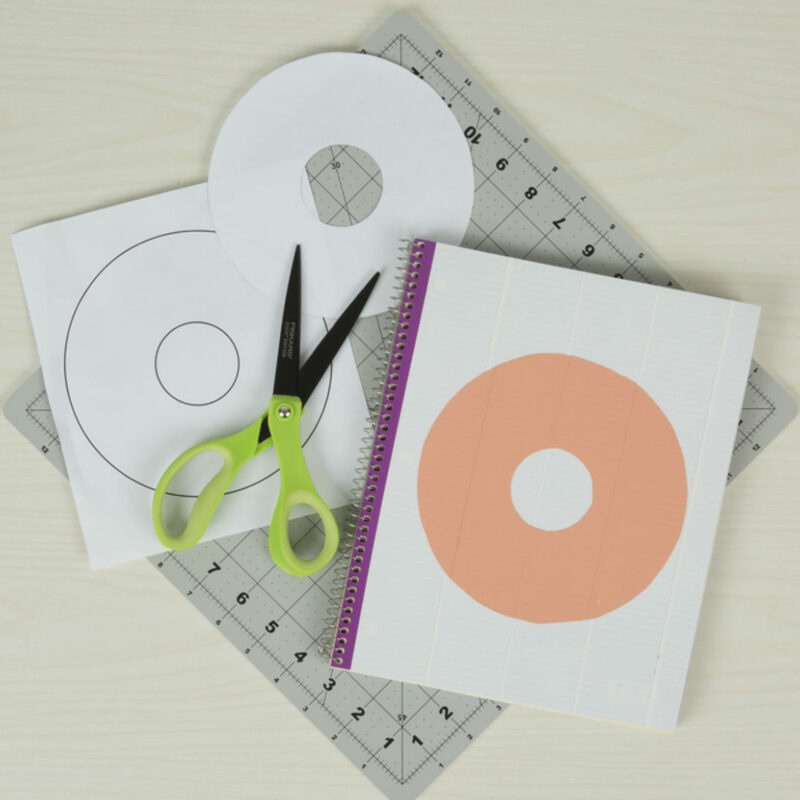 Using your frosting template, make the Duck Tape® frosting and stick it on your notebook on top of what you made in step 2. 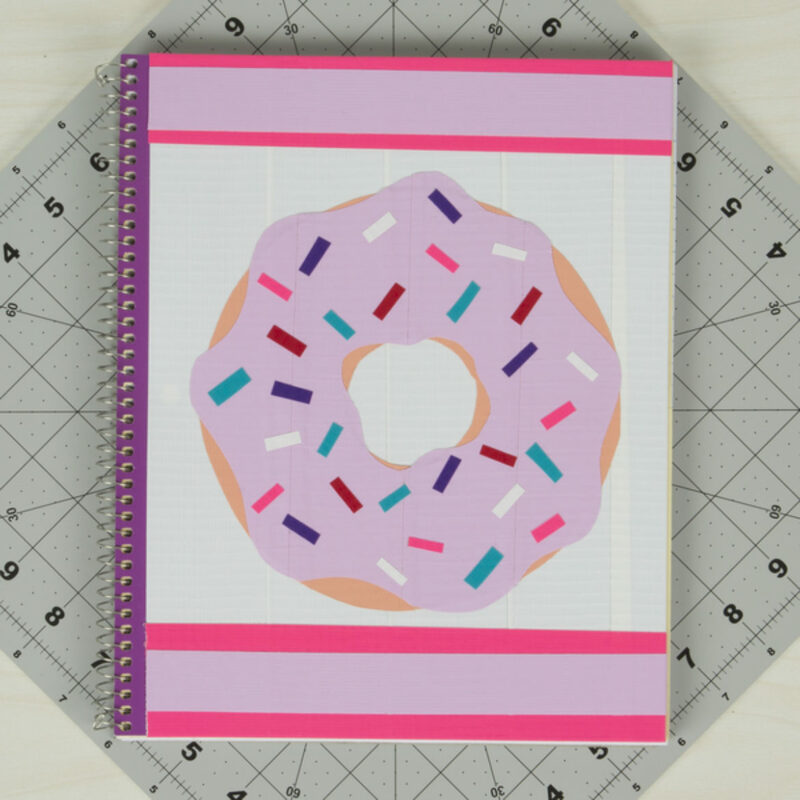 Add Duck Tape® sprinkles to your frosting. 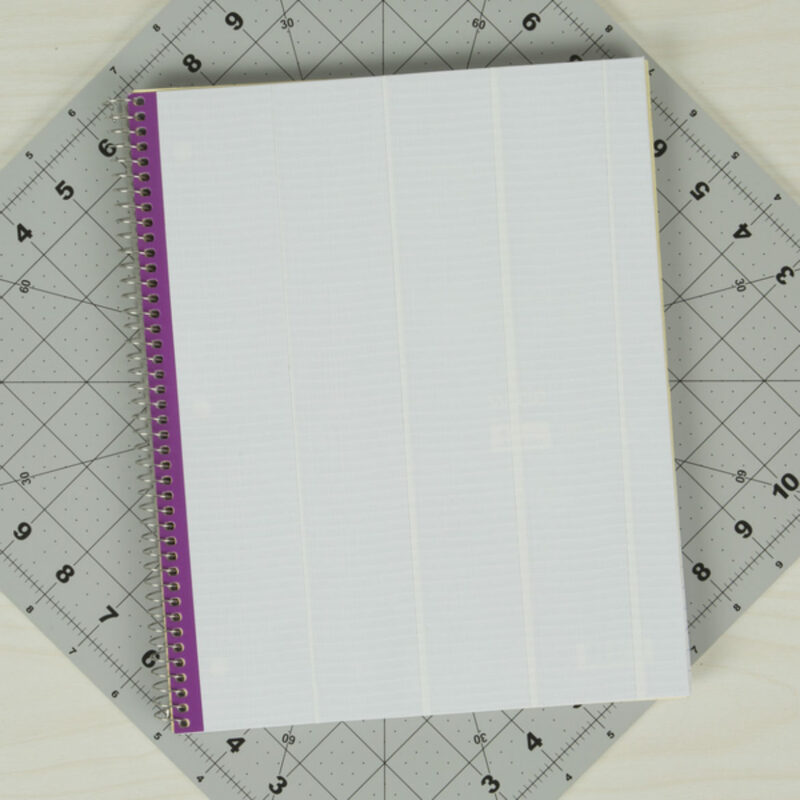 Add strips of tape on the top and bottom of your notebook.